For fast and friendly support, give us a call today! We’ll get your computer working. We’ve got all the services you need to keep you online and happy with all of your equipment. Here when you need us, make sure we’re your first port of call; keep our number handy just in case – 0844 567 7577. Well not quite, but we’re pretty flexible. We’re open Monday – Friday, 9-5. Our minimum appointment is an hour and maximum 2 hours, subject to workload. Evening appointments on a Tuesday and Thursday too from 6-9 plus Saturdays 9-4. We’ll appreciate it if you can book 7 days ahead. Payment is needed in advance and we honour a 48-hour cancellation policy. If you need us for a full day or half day, we’ll be happy to quote. Our company was set us with your individual needs in mind. With a focus on helping people to enjoy their machines, we get rid of any techno-babble. Our ethos is on delivering an excellent service where our clients’ needs always come first. Here whenever you need us, you can be guaranteed of superior service at all times. We’ll make sure any of your IT stresses are removed – as quickly and painlessly as possible! Same day appointments are available Monday to Friday if booked before 12pm, subject to availability. 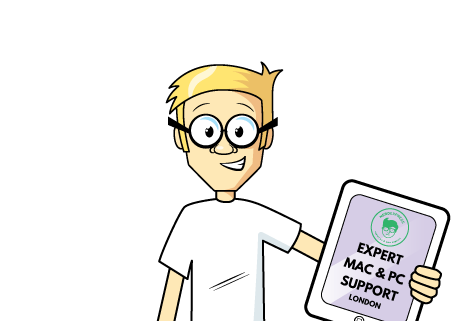 Remote Support is available if pre-booked charged @ £45.00 for a 60-minute session. If you need telephone support, it’s chargeable @ £1 per min, with a minimum charge of £10. Whether it’s PC-Installations, Wifi Printer or to provide 1st Fix advice on a new house project. We’ll make sure everything runs smoothly. If you’re having a new PC or Mac installed don’t worry. We’ll make sure everything runs smoothly. Your computer comes with lots of memory but if you’re finding that’s not enough, we can help. We make sure you make the most of your computer – PC or Mac. Friendly and relaxed training we know you’ll love.